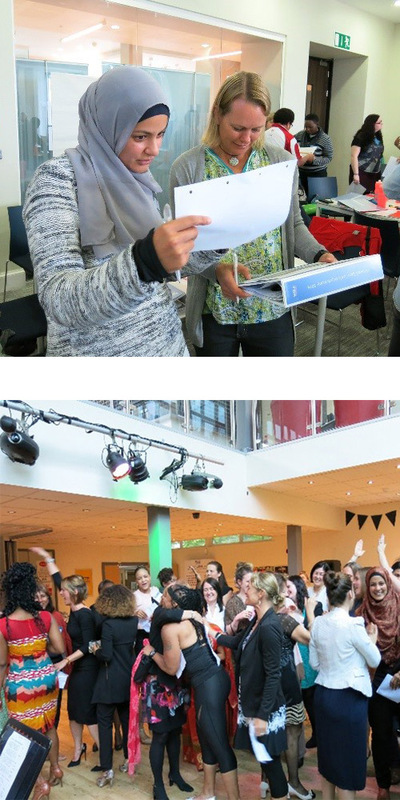 In June 2016, the University of Chichester welcomed 32 women from fourteen countries to its Bognor Regis Campus for the third Women’s Sport Leadership Academy (WSLA). The aim of the week was to increase the confidence and competence of women leaders working in sport and add to a global network of women sport leaders to have graduated from the 2014 and 2015 residential weeks. 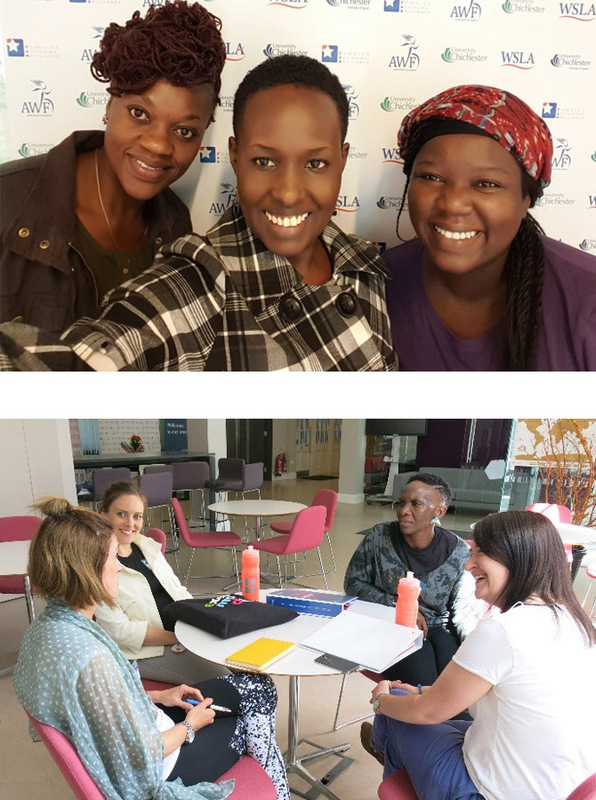 Once again, the Anita White Foundation (AWF), Females Achieving Brilliance (FAB) and the University of Chichester delivered a one-week residential which is part of an 18-month programme of support. These three organisations are passionate about such an endeavour because the barriers that women encounter in sport leadership are a reality that continue to be recognised in international research reports and by major sporting and non-sporting organisations. Before coming here, I felt my leadership skills needed sharpening. I've changed because I have learnt that we should lead by inspiring instead of leading by imposing. As a woman leader I have a lot of potential but the first step is building confidence. However, not all participants were as fortunate in securing financial assistance. Therefore, the WSLA Steering Group were pleased to be able to provide scholarships to women from Australia, Botswana, India, Kenya, Papua New Guinea, South Africa, Trinidad and Tobago and Thailand. Additionally, the AWF funded the travel requirements of two participants from Kenya and South Africa. The WSLA team also saw significant developments in relation to its strategic growth. 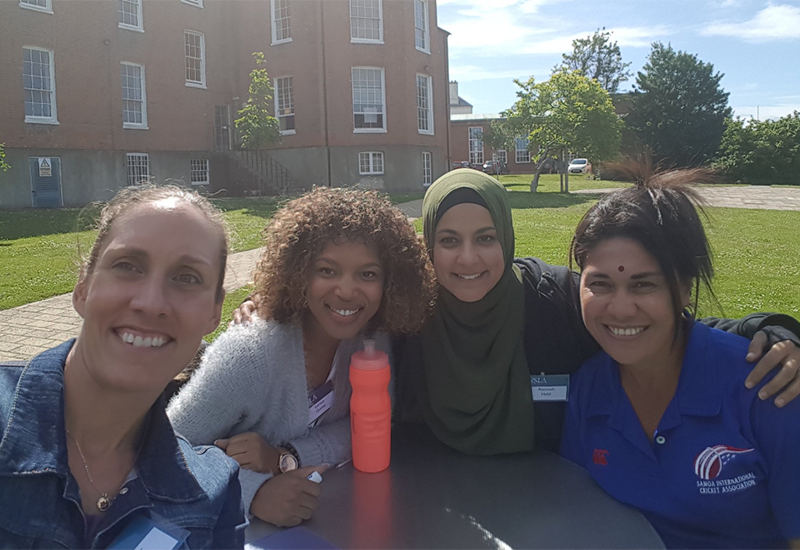 Two WSLA graduates were selected to be international facilitators to provide further personal and network development opportunities and enhance the cultural diversity of WSLA. Rachel Muthoga (2014 graduate; Executive Director, Moving the Goalposts Kilifi, Kenya) and Caroline Nyamande (2015 graduate; Women's Cricket Coordinator, Zimbabwe Cricket) joined Barbara Daniels and Linda Low (FAB) and ElizabethPike and Lombe Mwambwa (AWF) as support facilitators. Lucy Faulkner and Pauline Harrison (FAB) led the programme delivery. The support team consisted of women and sport scholars based at the University of Chichester who used the week to network with women leaders in sport. Working in groups allowed me more confidence to share my experiences and easily learn from others. That was a brilliant way of facilitation. I am excited for the future and highly recommend the programme to others. WSLA is inspirational. An inclusive, safe and dynamic learning environment was created by the WSLA team. The participants focused on developing and enhancing a range of leadership behaviours and sharing experiences with each other, as well as insights into the international women and sport movement and the distinctions between sport for development and the development of sport. Various delivery mechanisms from physical activity sessions to networking support groups ensured participants were always energised. You can watch some early-week reflections in the videos below. A key principle of WSLA is the awareness that changes in behaviour have to be embedded and sustained over time. The different delivery styles work to ensure that the participants take responsibility for their own self-sustained learning. The Celebration Reception has become a WSLA tradition and recognises the personal development and achievements of the participants throughout the week as well as a way of thanking donors and stakeholders. GreyMatter once again provided the evening’s entertainment to external guests, including donors and supporters of WSLA, FAB and the AWF. The evening included a conversation between Pauline and graduates of WSLA 2015 – Hannah Crane (Director of Sport and Workforce, StreetGames) and Jade Moulden (National Development Manager, Exercise Movement and Dance Partnership) – about their progress since they left WSLA. Lila De Soysa had been a special guest of WSLA and was the main speaker at the Celebration Reception. She shared her experiences of developing women’s leadership through the International Table Tennis Federation and consultancy work in many countries around the world. WSLA would like to thank all of the organisations and individuals who have donated money or sponsored the attendance of the participants. The Academy now has 108 graduates from 31 countries who continue to network with others to further their own development. If you would like to donate to support WSLA 2017, please visit our fundraising page. Any donation will be put towards supporting participants and thereby enhancing the development of women and sport work around the globe.